How does Strange Music prepare for the longest consecutive tour in rap history? 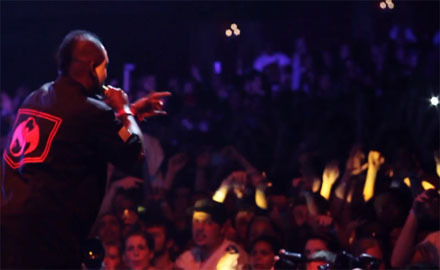 Monster Energy took cameras behind the scenes to catch all of the action leading up to the Hostile Takeover 2012 Tour. Watch as cameras catch the aura of excitement during rehearsals inside Strange Music HQ and the final moments before the tour officially started. Exclusive clips also showcase some of the finest Monster-fueled moments of the tour in Kansas City, MO. Crack open your favorite flavor of Monster and check out what goes into a record-breaking tour! Did you catch the Hostile Takeover 2012 Tour this past summer?